The Online Bachelor of Science Nursing Program is one of the best decisions an RSN can make for her career, and one of the best degrees for those interested in furthering their knowledge and skill set. At Nursing Degree.org we set out to rank the top online BSN programs for 2013. Our rankings formula is a combination of program thoroughness, availability, student satisfaction, accreditation, program cost and more. Below are our top 10 choices for the 2013-2014 rankings. The University of Kansas has a well structured online BSN program that offers students the flexibility of an online education, at the low cost of a state University. This mean that per credit hour, the education is significantly cheaper than it would be through a private college or university. It is a 64 hour RN/BSN program, designed to be completed in one year by a full time student. There are no courses with an on campus component, so it can truly be accomplished from anywhere. You must have successfully completed 62 hours of general coursework through the University of Kansas or another accredited college or university before you can be accepted to the RN/BSN program. The Sacred Heart University is a Catholic educational establishment which has long been respected for the medical education it provides. It now offers a CCNE accredited nursing program, which can be completed through online coursework. The 123 credit hour program focuses not only on nursing skills, but also on medical leadership, management, and other administration skills. Like the University of Kansas, the University of Illinois at Chicago gives students all the benefits of a public university, in an online setting. The RN/BSN program is 30 credit hours, which can be accomplish simultaneous to, or after, 57 core educational components have been met. It is set up so that students can complete the course of study in as little as 16 months, without ever setting foot on campus. All practicums will be organized through a student’s local medical facilities, so the program can be completed from absolutely anywhere. Western Governors University’s online BSN program is designed for those who already have an associates of nursing, and wish to further their training in order to increase their employability and on-the-job value. It is a competency based program which focuses on integration of technology, leadership, and patient safety, policies and procedures. Western Governors University is different than many of the colleges on the list because it is solely an online educational entity. the college specializes in the helping students get funding for their education, so that students can afford to get their BSN on any budget. Drexel has won a number of awards for its online BSN program. Students must complete 180 quarter hours, with 133 general electives, and 57 required medical skills hours. The program is self-paced, allowing students to complete the course work in a little as 12 months, or as long as 5 years. The program is NLNAC accredited, and allows students to set up their clinical experience with the local medical practice of their choice. Liberty is the largest Christian University in the world, and has a very large online educational program. It offers an RN/ BSN course of study that is well respected, but which comes from a very strictly religious world view. The course of study is designed to take two years to complete, and is both SACS-COC and CCNE accredited. Indiana State University, based in Terre Haute, Indiana was ranked as the top online nursing program in the U.S. News and World Report. The program is open to those who are already licensed as LPNs who wish to complete a BSN so that they are qualified for more demanding positions. The program is structured so that students can either enroll full time or half time in order to accomplish the program goals. It is the only complete LPN to BSN online program in the nation. St. Peters has long offered a nursing program in the Jesuit tradition, and now that program is available as an online only educational opportunity. The program is designed for those who are already certified RNs to complete BSN coursework in 32 credit hours. The program emphasizes holistic medicine, and nurturing the mind, body and spirit to equal degrees. 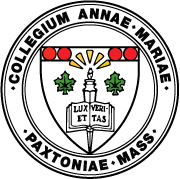 Anna Maria college is a small private educational institution, which offers an online BSN program. This program, which includes 45 hours of coursework, does not have a clinical element. Students typically complete the program in two and a half years. Adventist – Florida Hospital’s University, is a faith based college that specializes in medical services, and which has a long history of low-cost medical degrees for those serious about the healing arts. Its online BSN program is designed for those that already have their RN and typically takes 18 to 24 months to complete. The coursework focuses on nursing as ministry.